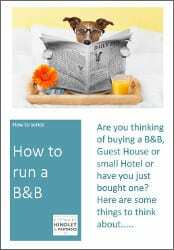 For many people, owning a bed and breakfast is the realisation of a long-held ambition; to run your own business and improve your quality of life is almost as far as you can get from the hustle and bustle of the daily grind. It’s no wonder that the B&B market is so buoyant. 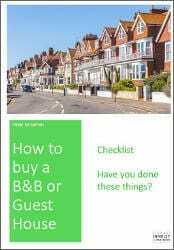 What’s great is that lenders are keen to lend against a B&B, as its freehold status and strong residual residential value is largely seen as excellent security. The loan-to-value in this sector can be as high as 70%. Comprehensive debt application from Stewart Hindley & Partners. 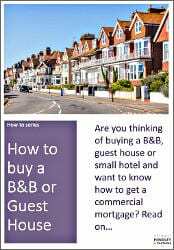 We’ve helped many clients over the years to buy and run their own B&B. Read our case studies about B&B funding to find out more. Our aim is to source and secure the best loan or B&B mortgage on your behalf. As both an experienced broker and part of an established firm of Chartered and Certified Accountants, we have the knowledge, contacts and skill required to arrange B&B mortgages on almost any scale, negotiating the terms to best suit your individual situation. At Stewart Hindley & Partners, we will ensure that you understand all of the options and are aware of the process – from the very beginning to when you finally have those keys in your hand. Naturally, the mortgage will be agreed subject to market conditions, your own financial circumstances, and the market value of the business you wish to buy. Our fees are payable on a ‘No Win, No Fee’ basis, i.e. only applicable when we have secured the loan for you . To learn more about our terms and conditions, your local Stewart Hindley business finance broker can guide you through our fee structure and all the other costs which are associated with your B&B purchase. For more information, please do get in touch. We’d love to chat through your questions and see if we can make your B&B dreams come true.